How Far is Mahadev Towers? 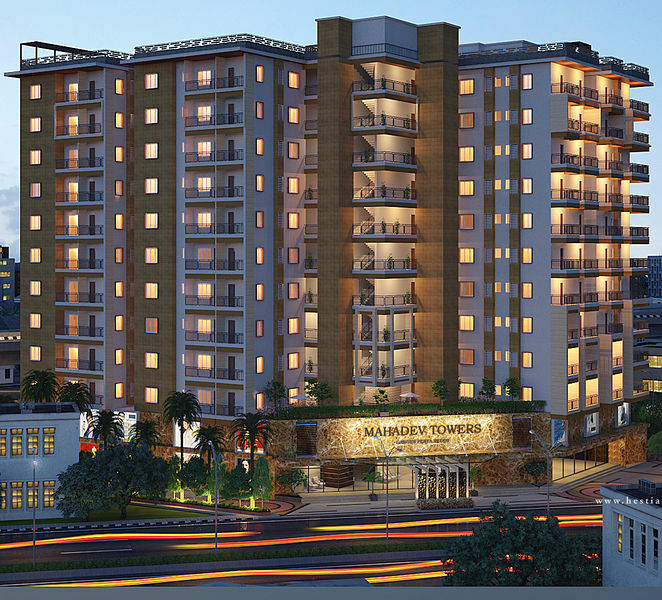 Mahadev Towers is coming up with beautiful flats having abundant space and soothing interiors. 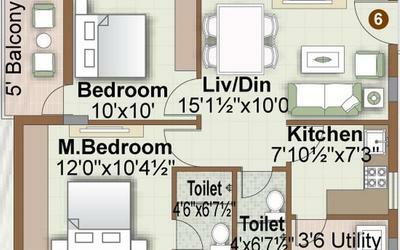 Each apartment is being built with choicest floorings and fittings. These elegant apartments are coming up for those who needs everything best in their life. Offered in a range of 2 BHK and 3 BHK, these are built with top branded floorings and fittings. External exposed walls 9” thickness,internal walls 4.6’’ thickness with quality burnt brick or Aerocon bricks and cement mortar of two coats with sponge finish. Main Door Teak wood frame and designer panelled shutter or veneer skin doors with good quality hardware and GODREJ or EuRoPA make locks. Internal Doors : Teak wood frames with moulded skin doors with standard hardware & Locks. Windows : UPVC Windows and MS safety grills. Vitrified tile flooring size 2x2 in all rooms and antiskid ceramic flooring in balconies and wash area, Granite flooring in corridors and staircase areas. All water pipe lines are CPVC pipes of AstRoL / AsHIRWAD or equailant make, sewer lines for external of PVC from PRINCE/suDHAKAR make. Black granite kitchen platform with stainless steel sink, 2’ dadoing with glazed tile above granite kitchen platform, provision for water purifier and washing machine, power points for grinder, fridge, oven etc. Antiskid ceramic flooring and glazed tiles dado up to 7’ height and good quality sanitary fittings (CERA / PARRYWARE / HINDWARE), along with good quality CP fittings (JAguAR / gRoHE or equivalent). Concealed PVC pipes and copper wiring with all necessary points for lights, fans, etc. 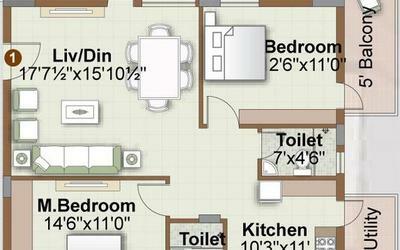 Telephone points in Hall & Master bedrooms, T.V. 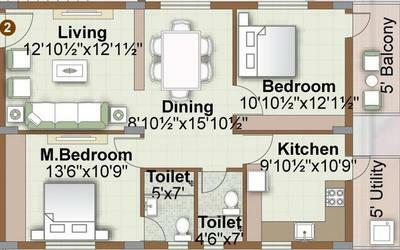 & A.C. points in all bedrooms, all switches / sockets are LEgRAND /ANCHoR / Havells etc. or equivalent. Wires of HAvELLs / FINECAb etc. or equivalent. Bore well water through sump and one connection for drinking water in the kitchen.